You're sick and contagious. You want to warn people to maintain a distance from you or else. 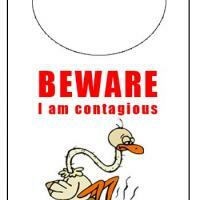 Make a warning now and hang this sick door knob hanger on your door.